Its elimination from the FATF black list has allowed this jurisdiction to be more attractive for sophisticated investors looking for security to carry on their businesses. The government of the Bahamas has an investment policy and promotes foreign investment in the country. In this regard, the infrastructure of the region is composed of 6 international airports, 23 ports with modern facilities, and telecommunication services with the latest technology. The Bahamas consist of 700 islands extended over more than 500 miles in the Atlantic Ocean, 50 miles off the Eastern Coast of the State of Florida, United States of America. Its population is approximately 300,000 people, concentrated mainly on the island of New Providence, where the capital of Nassau is located. The official language of the Bahamas is English. In 1973 Bahamas achieved its independence from Great Britain. It is a parliamentary democracy that enjoys political and social stability. Bahamas is a member of the British Commonwealth, keeping absolute independence from the United Kingdom on all government matters. The economy of the Bahamas is driven mainly by tourism, and a part of its population is also dedicated to retail, wholesale, fishing and agriculture activities. However, the financial services industry is of great importance to the Bahamas, as it has historically enjoyed worldwide recognition. 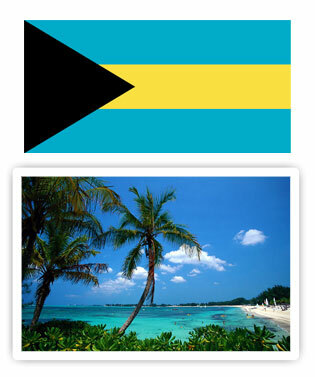 Bahamas is one of the strongest and most competitive international financial centres of the region. It offers trust services, private and public banking, mutual funds administration, capital markets, and other financial services. Over 350 banks and trust companies are licensed to operate in the Bahamas. Almost 35 of the best 100 banks, from 24 different countries worldwide, operate in the Bahamas. 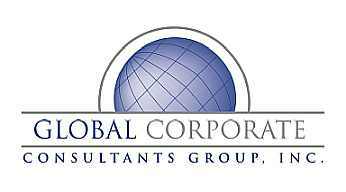 Name of the Company: The name must end with the terms “Corporation”, “Incorporated”, “Limited” or their abbreviations. On the other hand, the use of names that include the words “bank”, “insurance”, “reinsurance”, “trust”, “trustee” are restricted by Bahamas Regulations. We always suggest that you provide us with three (3) different name alternatives in order to verify their availability. Object: Bahamas law allows companies to carry on any lawful business, even if it is not similar to any of those listed in the M&AA of the company, or their amendments. The M&AA elaborated by our offices will be drafted using very broad parameters, in order to avoid any conflict with your interests. Moreover, the M&AA can also be amended to suit your needs, whether by adding or removing certain activities that you do not want included therein. Directors and Officers: the Bahamas IBC Act establishes a minimum of one (1) Director. The Directors do not have to be shareholders. Officers may also be appointed for any positions such as President, Secretary, Treasurer, etc., that may be required for a specific company. The company’s capital can be represented in any currency.